To address their general malaise, four privileged L.A. housewives each make a pact to have a year-long extramarital affair. Their husbands are declared off-limits and the friends agree to confide only in each other (the theory being that dalliances cause trouble in large part because word gets out). And so our ladies embark—two eagerly, one cautiously, and one very reluctantly—on perilous romantic paths that lead to all manner of adventure and intrigue. As the year progresses, secrets are revealed, betrayals pile up, desires are brought to light, lies are told, and each woman is forced to face up to the truth of who she is and the choices that have brought her here. When the women discover that a local gossip has been spying on their conversations and is threatening to reveal their secrets to the whole town, how far will they go to stop him? And how well do these friends really know each other anyway? 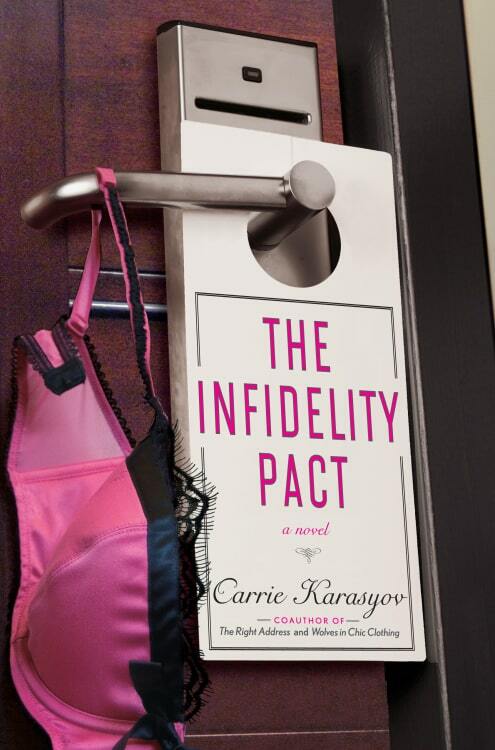 With a wry eye and an insider’s view of L.A.’s wealthy and occasionally desperate housewives, The Infidelity Pact is at once poignant and hilarious, a book that is sure to be talked about on both coasts—and everywhere in between.